Italy was hit very hard by the First World War, losing hundreds of thousands of men and crippling its economy. 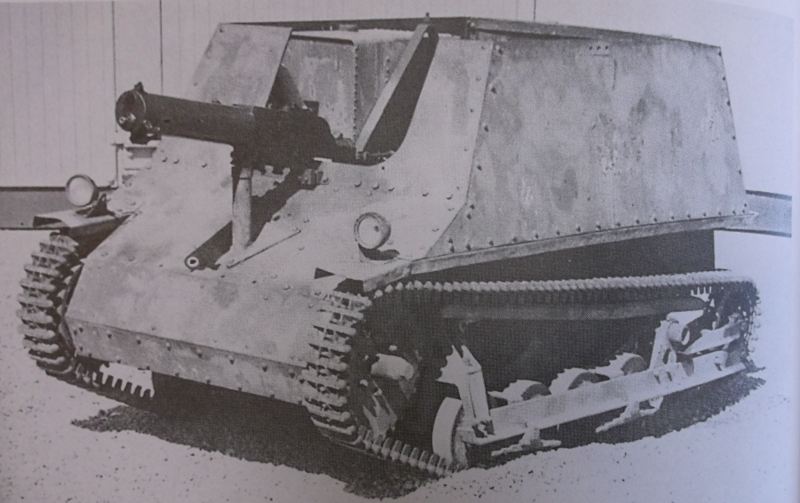 The Italians had designed and produced their own tanks but instead of mass-producing their own, elected to produce a version of the French Renault FT instead. 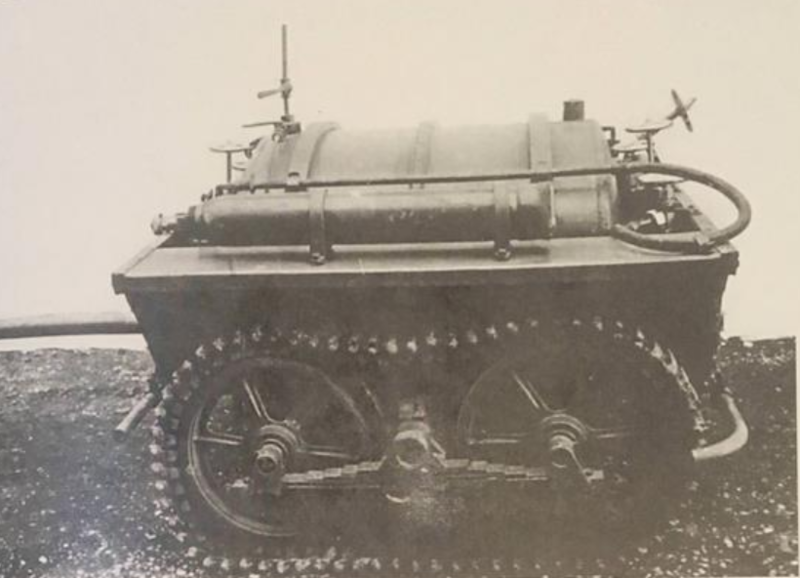 This tank, known as the Fiat 3000, formed the bulk of Italian armor in the post-WW1 era but was far from ideal for the requirements of the army, which needed to be able to patrol the vast expanses of open desert in North Africa just as easily as support infantry attacks in the Italian Alps. 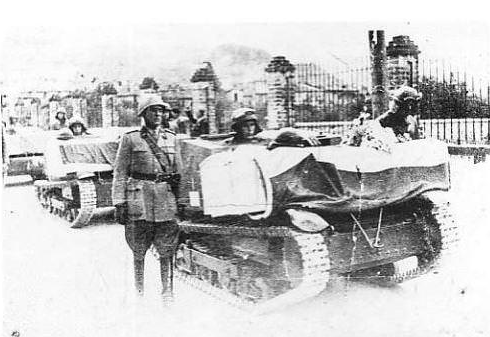 By the late 1920s, the need for an armored vehicle capable of operating in all terrains in which the Italian forces operated was identified. At the time, the only tanks available to Italy were the Fiat 3000, a single Fiat 2000, or foreign vehicles such as the Renault FT or Schneider CA1 among others. 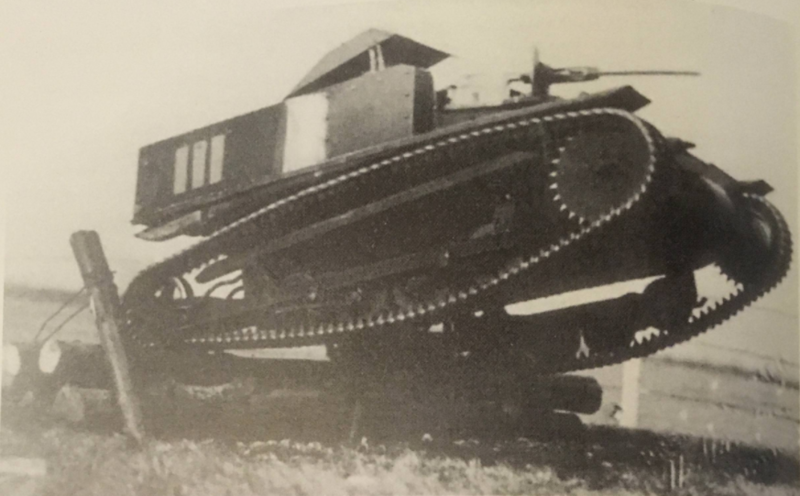 The Fiat 2000 was a dead project, too big, too heavy and too slow. 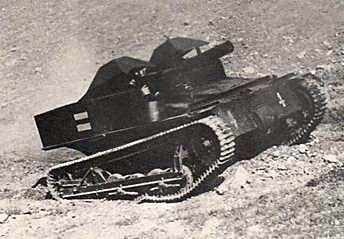 The Fiat 3000 was also very slow and weakly armed with just machine guns (until a 37mm gun was finally added). A faster tank was needed. The logical first step in such a program is to evaluate similar foreign vehicles to assess what is available on the market and either purchase that or modify it to suit your needs. In 1929, General Ugo Cavallero was aware of this need and set the ball rolling to examine a number of British-built Carden-Loyd Mark V* and VI light tanks for evaluation. 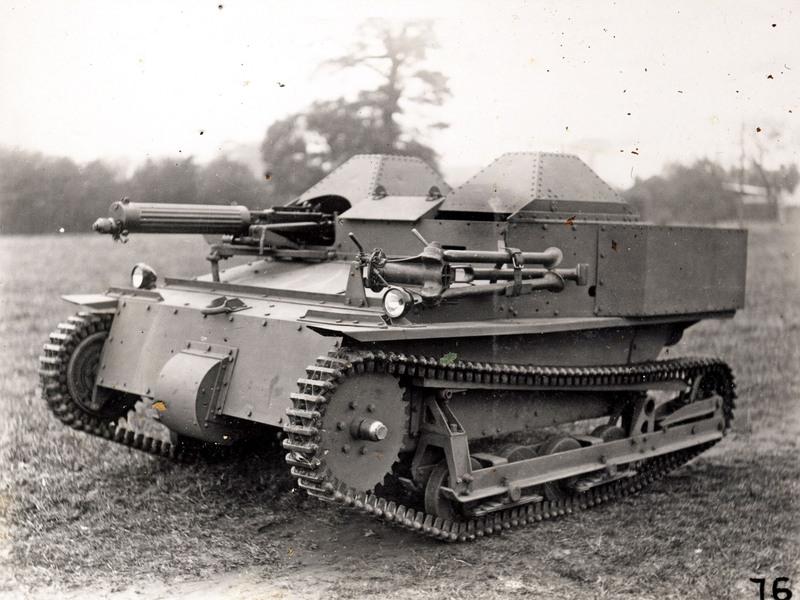 Great Britain was seen as being at the forefront of tank technology by the Italians and so had a great influence upon the thinking regarding armored vehicles. The Inspectorate responsible for evaluating the Carden Loyd Mark V* and VI was the Ispettorato Tecnico Automobilistico. A number of both vehicles were purchased via Captain Enrico De Braud in London and brought out to Italy for testing. These 1929 trials were not completely successful. 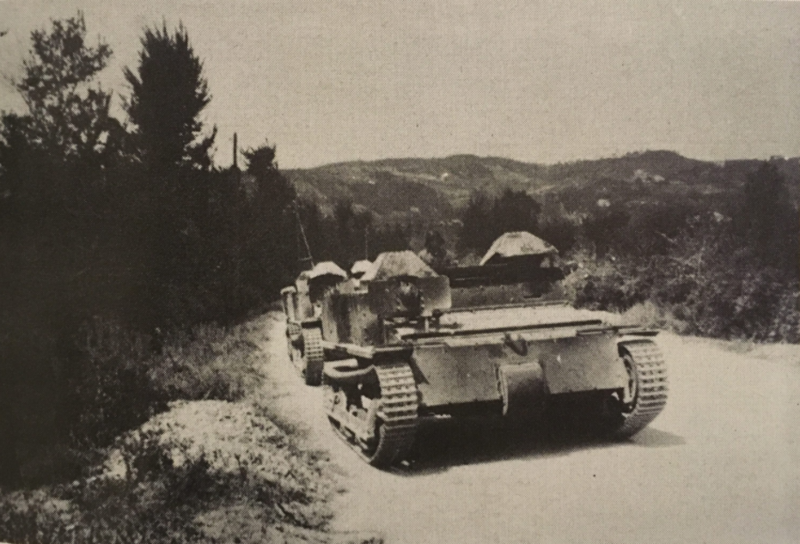 The Mark VI vehicle was under-armed for a start but was small enough to navigate some of the mountainous terrain of Italy’s north as well as being transportable by truck etc. which was ideal for colonial service and was therefore accepted into service as the Carro Veloce (Fast Tank) of 1929 (CV.29). The Mark V*, on the other hand, seems to have gained sufficient interest to later form the basis of some plans by Ansaldo for the mounting of other weapons. Further trials of the CV.29 included trials in Genoa against anti-tank obstacles in 1930 and 1931, desert trials in Libya in March 1932 and later in Italian Somaliland in 1933. The Carro Veloce (CV) 29 light tank. Illustrated by Bernard ‘Escodrion’ Baker, funded by our Patreon campaign. Despite the shortcomings of the Carden-Loyd Mark. VI, there was no other suitable candidate available at the time and, as a result, kits for 25 Carden-Loyd Mark VI vehicles were purchased. The intention was to complete the assembly of the final 4 vehicles in Italy. 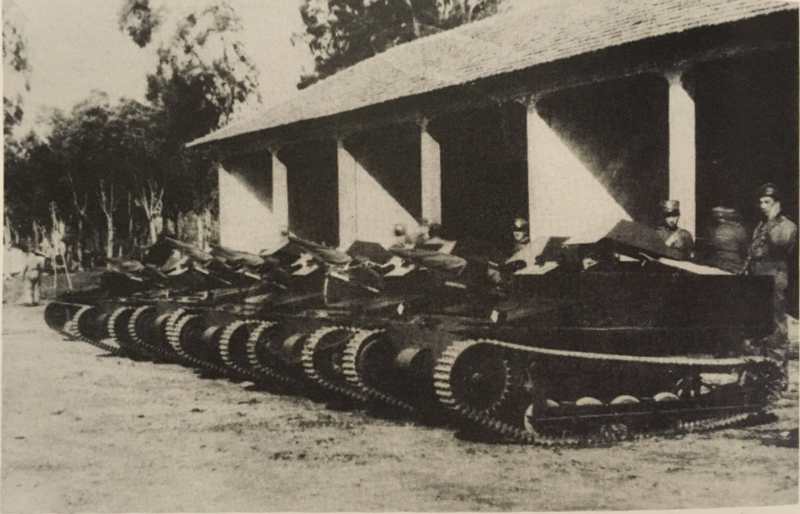 The vehicles arrived in two batches, the first fully assembled comprising 21 tanks and the second comprising parts for a further 4 vehicles. In 1934, an exclusive licence was acquired by Terni from Carden-Loyd for the production of 100 more vehicles in Italy. 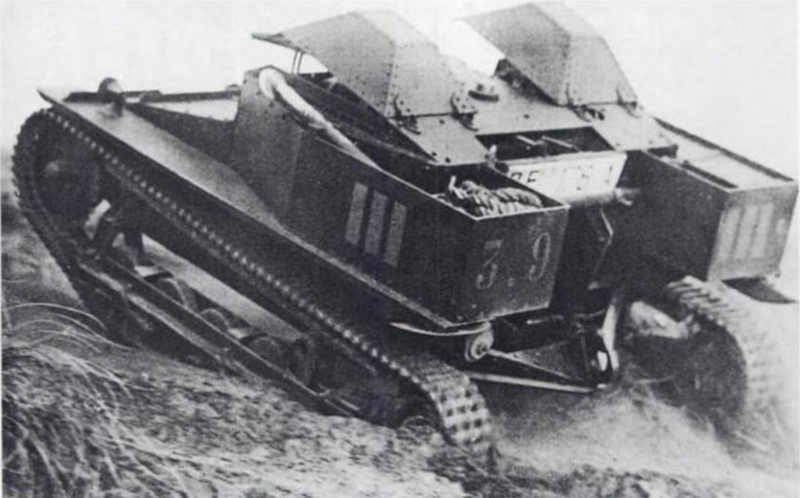 Experience in using, testing and assembling the CV.29 would be put to use later with development in Italy for the successor vehicle, the CV.33 series. 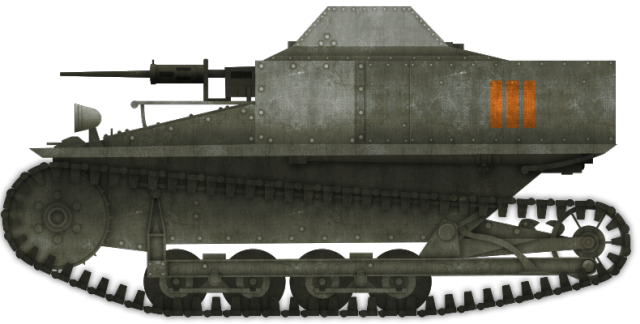 The Carden-Loyd Mark VI was accepted into Italian service under the name ‘Carro Veloce 29’, ‘Fast Tank 1929’ (CV.29). The name alone identifies what the shortfall was that the Italian’s were seeking to address; that of speed. Power for the CV.29 came from a 2.9 liter Ford Model T 4 cylinder petrol engine producing 20 to 22hp at 1600rpm and permitting speeds of up to 48km/h on a hard surface. 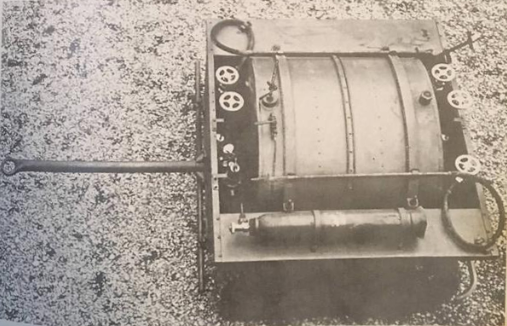 The 27-litre fuel tank was sufficient for a range of 100 km on a road or 2 hours of operation off-road. Protection was provided by bulletproof plate bolted to a steel frame and, in total, ranged from just 4mm thick to 9mm thick. This was still very thin, barely bulletproof in fact. Armament for the Italian vehicle was a 6.5mm Fiat Model 1914 aviation machine gun in place of the water-cooled .303 caliber Vickers machine gun and, while sufficient for anti-infantry purposes, it was insufficient for use against enemy armor. 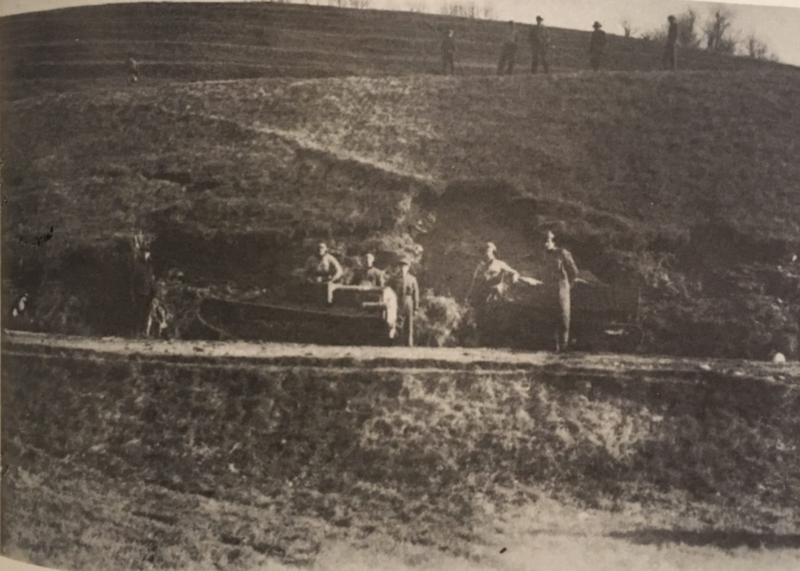 The gun was mounted in the front on the right-hand side and serviced by the commander. Istruzione Provvisoria sui Carri Armati Veloce (Instructions in the use of Fast Tanks) gave little guidance on how these new fast tanks were supposed to be used though. 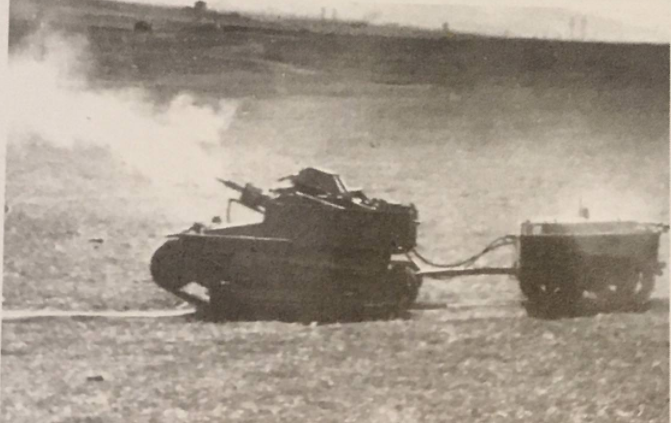 Despite a need for fast tanks being important enough to warrant the purchase, testing and domestic production of these tanks, there was little additional guidance as to how they were to be deployed. 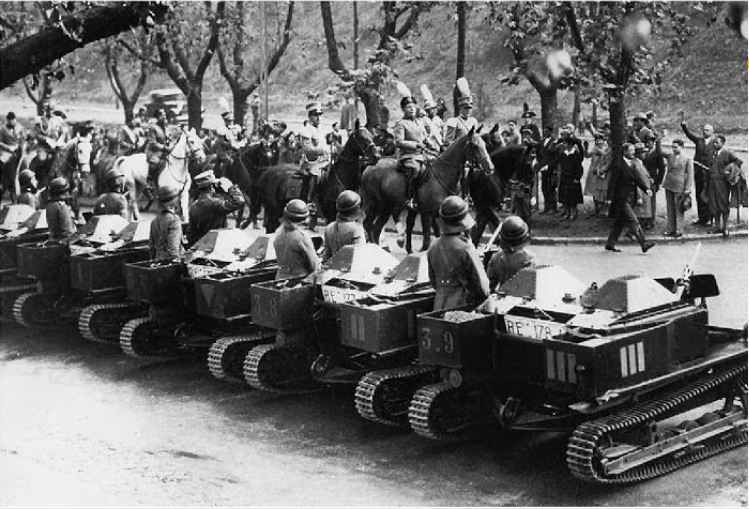 The only noteworthy difference for the Carro Veloce to that of the existing tanks (Fiat 3000) was that they were seen as being ideally suited to working with the cavalry and bersaglieri (an elite light infantry unit of the Italian Army) because of the increased mobility. There was no intention for the tank to be used in the role of the direct assault on enemy positions or even for countering enemy armor. The philosophy was that enemy tanks would be sufficiently dealt with by Italian artillery. 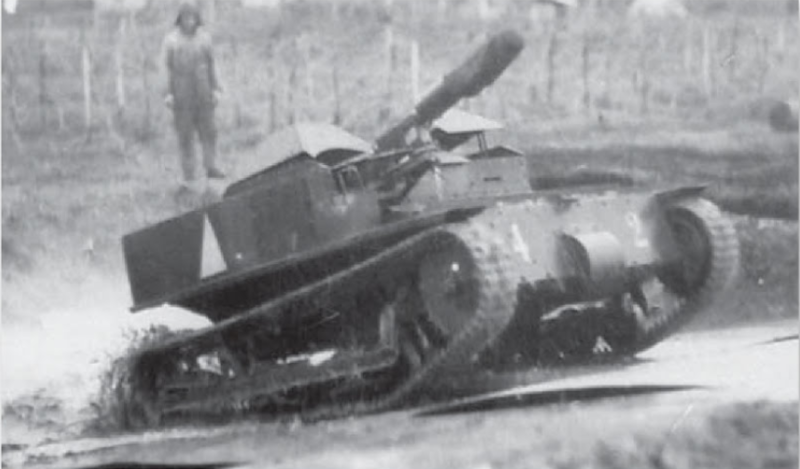 The CV.29 was effectively a short-term tank, meant to provide for the needs of the army while a new tank was prepared and only 25 were purchased. Even so, at least one variant emerged, used for towing a smoke producing trailer. It was demonstrated in May 1935 and was capable of producing a smoke screen. 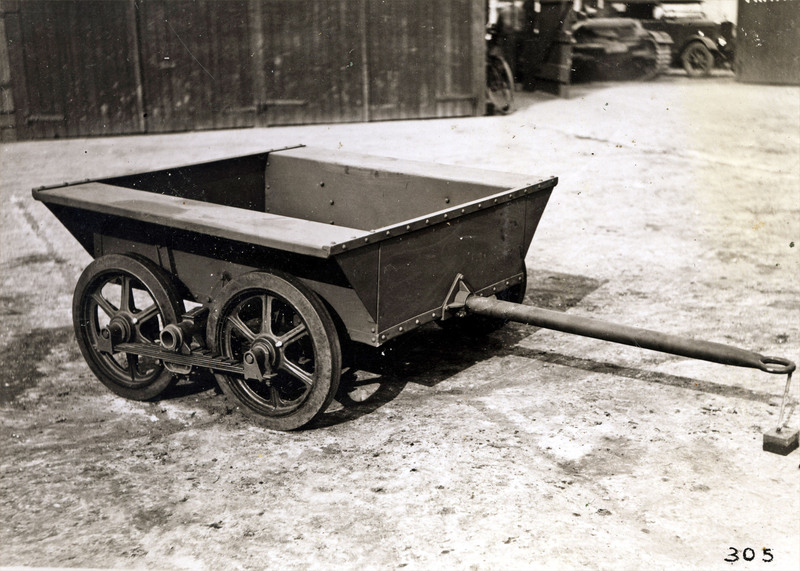 The trailer into which the smoke unit was put could also be used for other purposes, such as for carrying ammunition. It appears to be identical to the Carden Loyd trailer which could be used either on wheels or with tracks. The number of these trailers the Italians purchased is not known and it may have been produced locally as well. The CV.29, like the Carden-Loyd Mark VI, was very small, lightly armored and lightly armed. It had the mobility the Italians needed both tactically with speed and strategically with its small size and ease of transportation. It was not ideal but it was available and formed the foundations for future development. In about 1938, a single example of the CV.29 was sold to the Kingdom of Hungary for L75,000. The vehicles were still technically in service into December 1940 by which time it was being referred to confusingly as the ‘L.29’. Nonetheless, it remained in use after this date as a group of three of them is pictured as a funeral cortege in February 1941. The fate of them is not known and none are known to survive. “Illustrated Encyclopedia of the World´s Tanks and Fighting Vehicles”, Christopher Foss, 1978.